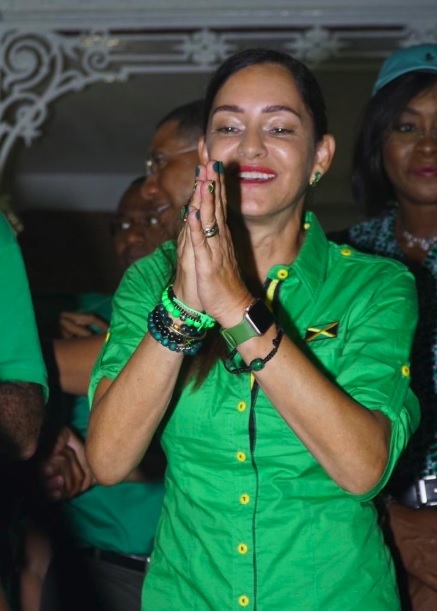 KINGSTON, Jamaica, CMC – Jamaicans and well as people residing as far away as Romania, were able to cash in financially on the electoral victory of the Jamaica Labor Party’s (JLP) Ann Marie Vaz in the East Portland by-election last week, the Jamaica Gleaner reported Tuesday. It said that Betcris Jamaica, a local betting company had sold an estimated J$20 million (One Jamaica dollar=US$0.008 cents) in wagers on the outcome of the election that Vaz won, becoming the first woman to represent the constituency. The seat had previously been held by the main opposition People’s National Party (PNP) for the last 30 years, but its candidate, Damion Crawford, was defeated by Vaz, the wife of the ruling Jamaica Labour Party (JLP) legislator and government minister, Daryl Vaz. The newspaper quoted Adam Bjorn, the owner of Betcris Jamaica, as saying that his company collected J$10 million from close to 120 bets that were made locally and a further J$10 million from wagers placed overseas in countries like the United Kingdom, Canada and as far away as Romania. “There were some big bets going on. I probably took eight to 10 bets of J$500,000 on both candidates,” Bjorn told the newspaper, adding that the minimum bet was $50. Bjorn told the Gleaner newspaper that nearly 60 of the 120 wagers placed with Betcris Jamaica correctly predicted Vaz’s victory, and a majority of bettors have already collected their winnings. He said the company started accepting bets in the days after Prime Minister Andrew Holness announced the date for the by-election, which was triggered by the slaying of Member of Parliament Dr Lynvale Bloomfield in February. “The first bet I took was on Ash Wednesday, and from then, they came hard for the JLP,” Bjorn said, adding that the betting got close after another opinion poll closed the gap between the two candidates. “Plus when most people are betting, they want to risk less to win more, so they bet on the underdogs,” he explained. Betcris also offered wagering on the 2016 general election. According to Bjorn, the company sold close to three millionion in bets. “We did about two to three million because it (betting on politics) was new, and no one was doing it and no one knew what it was about. “This election was a good election to do it on because you have two polarizing figures … because of the barbs they threw and because it was so close,” Bjorn told the Jamaica Gleaner newspaper.